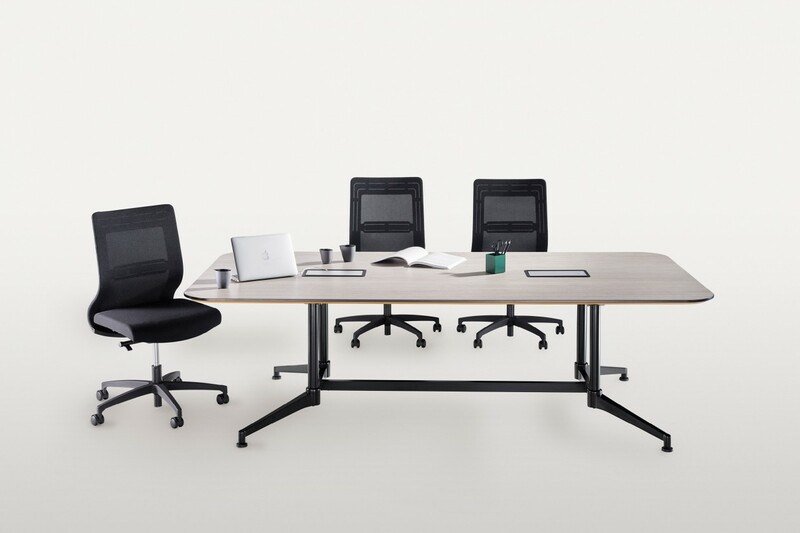 Trama - A new concept in office solutions, combining flexibility and functionality in the modern individual or open plan working area. 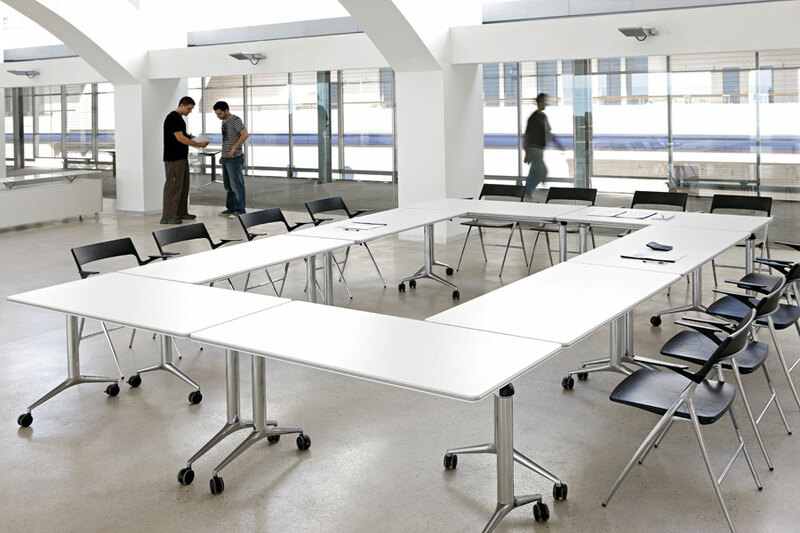 The Trama desk comes on castors and with flip-top making it ideal for meeting, conference, training rooms and public areas. 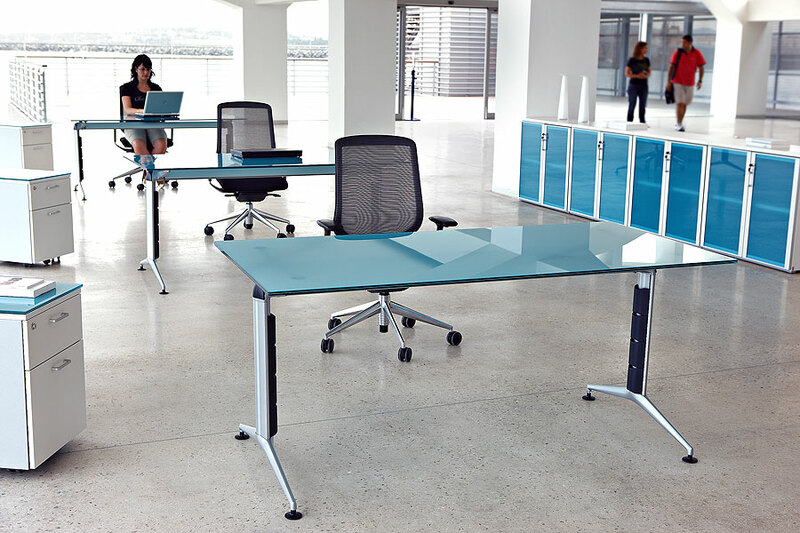 The open plan desks gives lightness as well as all-purpose use. 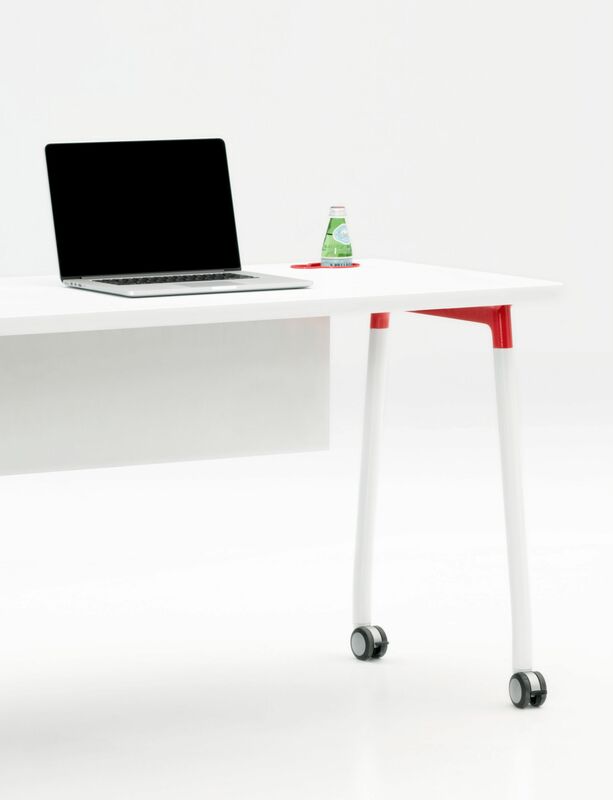 Trama mixes accessories to optimize its functionality within the working space. 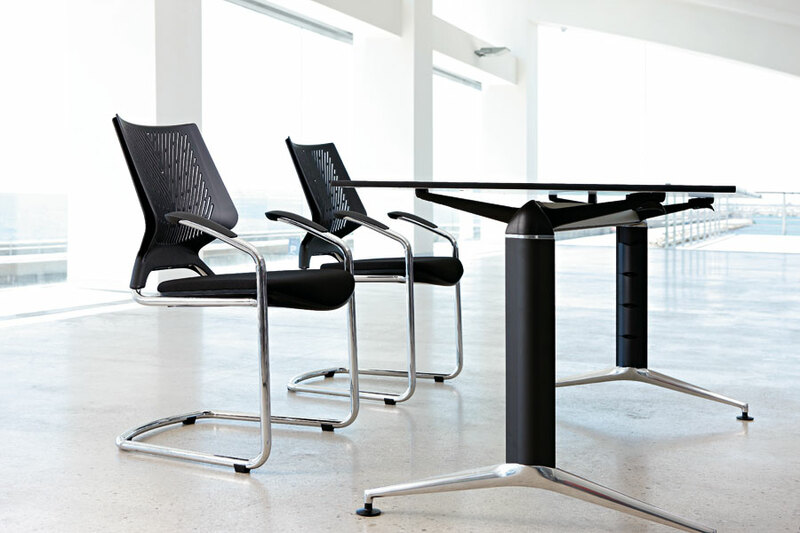 It is also available with height adjustable legs which increases its dynamics and ergonomics. 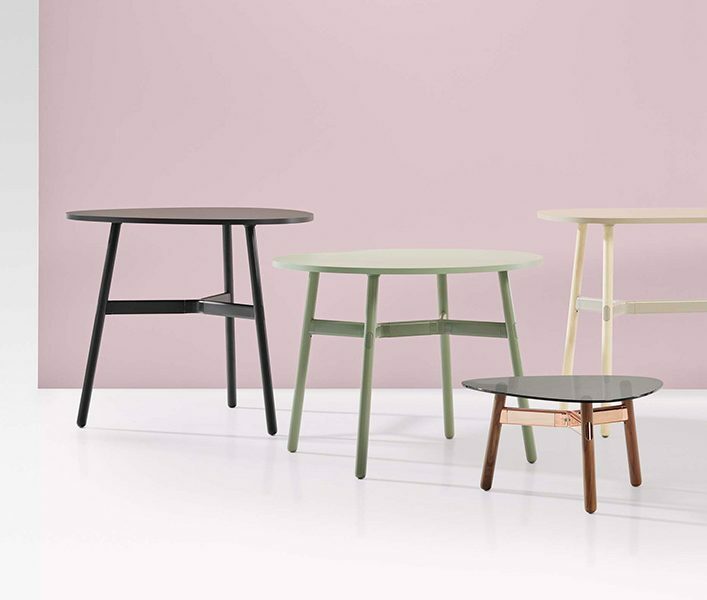 Frame is moulded aluminium and available in silver, white or black finish. 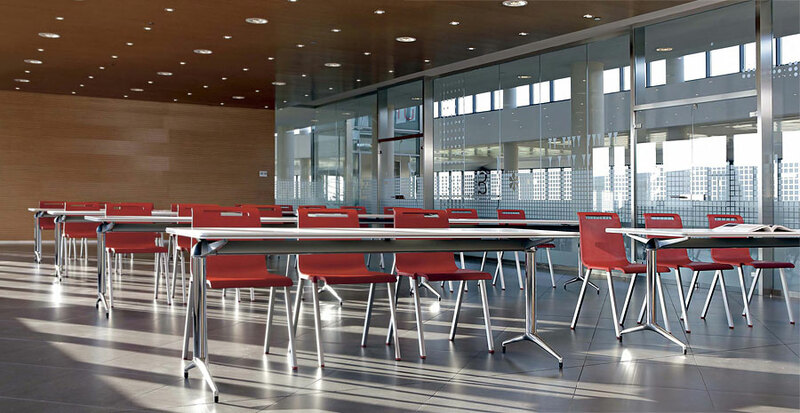 The supporting beam is extruded aluminium in a curved triangular shape available in the same finishes as the leg to ensure design uniformity. The leg is 100mm x 60mm diameter tube made from extruded aluminium. Moulded feet available in two sizes depending on desk width. 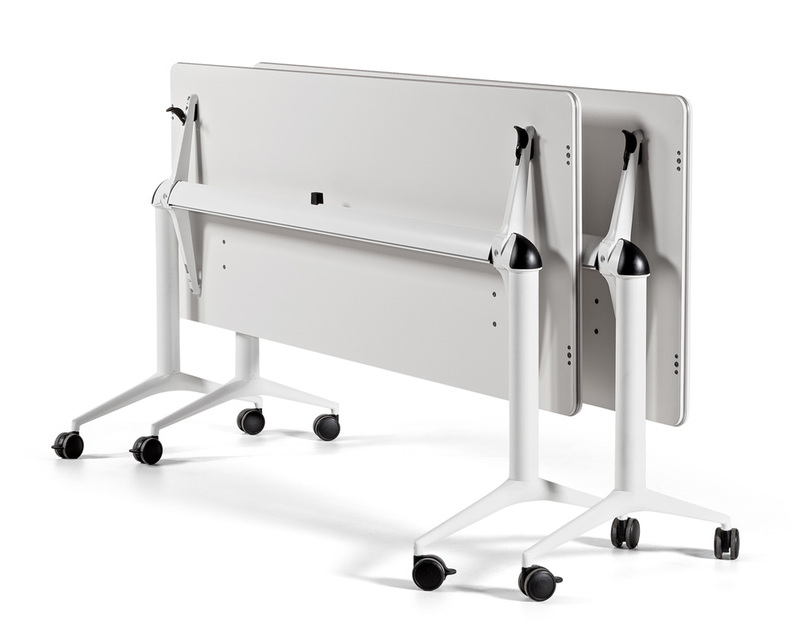 A quick desk linking device to allow desks to be linked side to side. 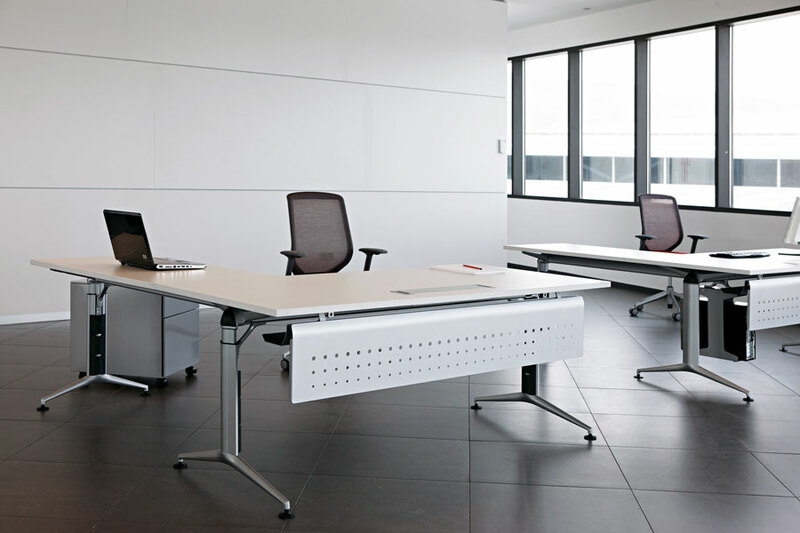 Height adjustable leg option available on model 90 to allow adjustment from 670mm to 850mm. Available on castors, glides or anti skid levellers.